Like, yes, he has strong mythological ties to Earth, but so the do the Namekians. I kind of wish that Majin or God had been rolled into a Celestial/Magical/Demon trait category. He's a Makyan, they have a named homeworld: http://dragonball.wikia.com/wiki/Makyo_Star. Although, I get that things like the "demon realm" existing as a place you can go to in universe muddies the definition of what we think of as an "alien"
There are not enough Earthling villains. So I think it’s the best course of action personally. It’s not perfect but it’s good enough, you know? He gets benefits from energy toss where Ginyu/Frieza do not. 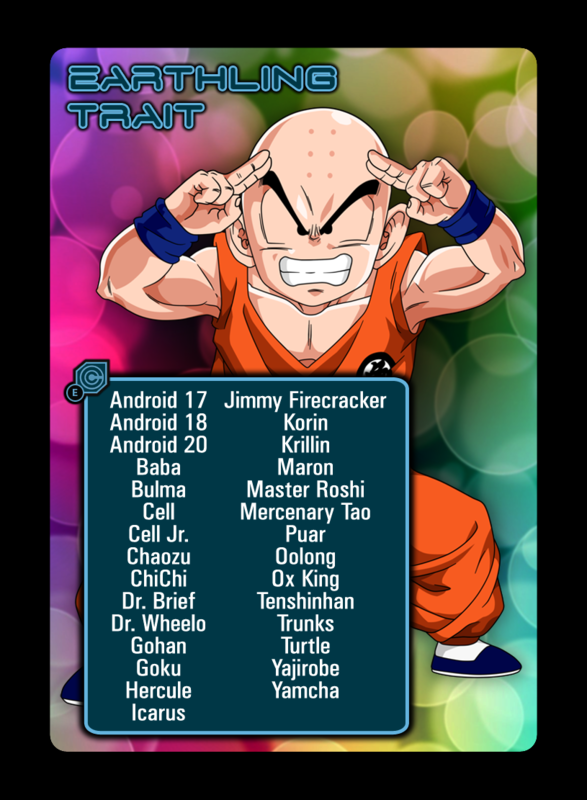 Another thing, traits were designed to give some underdog MP’s a better chance, but by giving tier 1 MP’s like Cell and Gohan a lot of traits, we effectively have the trait mechanic being narrowed down to “If your MP has only 1 trait,” in all of our cards anyways... I’m not even sure if there is an earthling clause without that effect (There is that one FanZ Orange energy attack). I say remove the earthling traits from any half-breed Saiyans and Androids. Earthling should be the trait in the absence of any other trait from a gaming perspective. From a gaming perspective, I agree, but from a lore perspective, I really can't. Honestly, I think it'd be easier if they instead worked with things like "Allied Blitz," which specify a trait that it doesn't work with. Give cards that are both Earthling Trait, and that don't work with Saiyan-trait'd MPs, which locks off both Cell and the half-Saiyans. Hell, it locks out Goku too. We should disregard any lore perspective in my opinion because there isn’t any consistency. Gohan is Namekian because he was trained by Piccolo, but Goku isn’t an Earthling despite being trained by earthlings. We are talking about the gaming perspective: give each personality one trait. Done. Now the system becomes easy to balance and not clunky to actually implement. Honestly, that just sounds really limiting and boring from a design perspective :/ Even from a gaming perspective, it's not exactly enticing. Especially since I'd say some of the strengths of MPs like Gohan and Cell now come from them having so many different traits. Right now, that's overpowering (mostly because these MPs weren't designed with traits in mind, and so it's become an added bonus), but down the line, that could really serve to give some diversity in deck building. Also; Goku did, or does, have Earthling. Did they say somewhere that he's no longer an Earthling? Regardless though, I just don't think Gohan should have Namekian. Let him use Namekian Masteries, because there are cards that ONLY work with him now (otherwise, he shouldn't even get that), but the cats already out of the bag, so eh. I stand by my previous statement though. 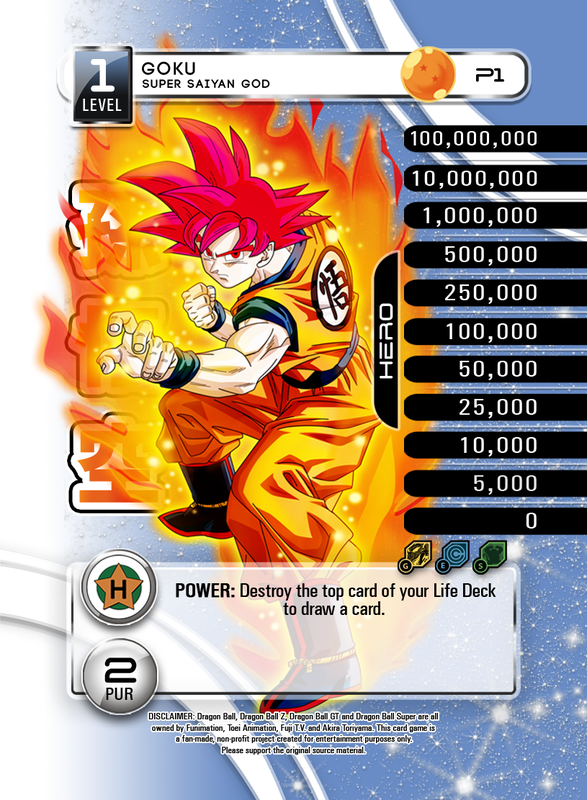 They should make an icon that translates to "if it doesn't have THIS trait" (even if it's just a red cross over the trait symbol), and printing that on cards they don't want Saiyans, or Cell, to get to. One personality, one trait, while easy to balance, is honestly just boring.